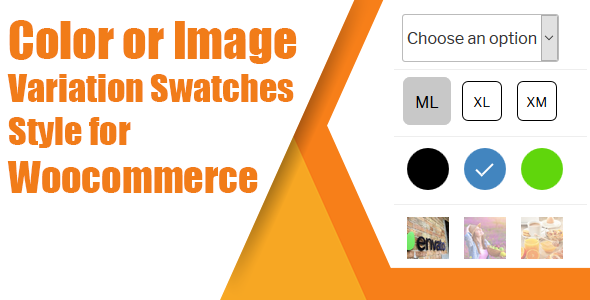 Color or Image Variation Swatches – WooCommerce color/image/label/text or dropdown variation Variation Swatches. Convert your normal variable attribute dropdown select to nicely looking color,image,label,text or dropdown . you can display product colors, sizes, styles and anything else in the better way which is not support by default WooCommerce. Display them in round or square mode.